These are the current contributing editors for Bridges. We are constantly adding new categories so please suggest one if it is missing. If there is an opening for your category and you wish to be a contributing editor, please write Melissa. If you have a post you want to have considered for Bridges, please contact the appropriate editor for your category through their personal blog. If your category does not have a contributing editor, please email your submission to Melissa. Lori is the contributing editor for Domestic Adoption. She writes daily at her main blog, Weebles Wobblog. She records her family's adoption story at Drama 2B Mama and reviews products at All Thumbs Reviews. Erin is one of the contributing editors for International Adoption. She writes daily at PCOS Baby where she chronicles life with her children and parenting after adoption from Ethiopia. 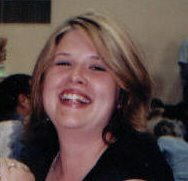 Stacey is one of the contributing editors for International Adoption. She writes daily at Is There Any Mommy Out There? where she discusses life with her adoptive, multiracial family. Andy is the contributing editor for the Adoptee Perspective. She is also a mother through adoption. She writes daily at Today's the Day. Melissa is the editor of Bridges and contributing editor for Parenting after Infertility. She writes about infertility at her main blog, Stirrup Queens, as well as at the daily Lost and Found and Connections Abound. Her writing can also be found at BlogHer. Kymberli is the contributing editor for Surrogacy (Surrogate Point-of-View). She writes daily at I'm a Smart One where she chronicles her life as a gestational surrogate after her own struggle with infertility. Loribeth is the contributing editor for Living Child-Free after Infertility or Loss. She writes daily at The Road Less Travelled where she tells the story of her daughter as well as life after the stillbirth and infertility. Kami is the contributing editor for Donor Eggs. She writes daily at The Other Side where she covers life with her new daughter, LB, the little butterfly. Tabi is the contributing editor for Surrogacy (Intended Parent). She writes and posts images at The ART of Being Infertile. Jess is the contributing editor for Donor Insemination. She writes daily at Life in the White House. Busted is the contributing editor for Loss. She writes daily at Busted Babymaker where she tells her infertility story as well as the story of the Doodles, her boy/girl twins (Noah and Talia) who were born at 23 weeks due to placental abruption. Allison is the contributing editor for Neonatal Death. She writes daily at Our Own Creation where she chronicles not only the life and death of her twins, Lennox and Zoe, but her world beyond. Julia is the contributing editor for Recurrent Pregnancy Loss. She writes daily at Life After Infertility and Loss where she covers all of her children--the ones who are here and the ones who are gone. Aurelia is the contributing editor for Early Pregnancy Loss. She writes daily at Aurelia Ann. She provides "thoughts-written-out-loud" in words and pictures. WhyMommy is the contributing editor for Inflammatory Breast Cancer (IBC). She writes at Toddler Planet and heads up Team WhyMommy which has spread the word about IBC. She also blogs at DC Metro Moms Blog, Women in Planetary Science Blog, and, her latest project, Mothers With Cancer. Robin is the contributing editor for Asperger Syndrome. She writes daily at her personal blog, My Life As It Is, where she writes about her son Adam, Asperger and autism awareness. You can also find her at DC Metro Moms. Karen is the contributing editor for ADHD. She writes daily at her personal blog, Chez Perky, where she covers not only life with her vroombunctious preschooler, but also triplets. Psychmamma is the contributing editor for Special Medical Needs. She writes at Psychmamma where she covers life with Jenna, her "spunky little two year-old who was born with a triple intestinal atresia." Her blog is also the home of Special Needs Sundays. Stacie is the contributing editor for Prematurity. She writes regularly at her personal Heeeeere Storkey, Storkey, where she writes about her life, family, and most especially, her twin boys, Sh.awn and Ja.son, who were born at 28 weeks and 3 days due to PPROM. Cecily is one of the contributing editors for Alcohol and Drug Addiction. She writes daily at her personal blog, Uppercase Woman, where she covers not only her 12 years of sobriety, but life with Tori, writing, and all things feminist. Topcat is one of the contributing editor for Alcohol and Drug Addiction. She writes daily at Indisputable Topcat where she is parenting after infertility and navigating her husband's cancer. Becky is the contributing editor for Family Perspective on Addiction. She has recorded part of her story at A Walk in Our Shoes and A Daughter's Journey. Helen is the contributing editor for Depression and Borderline Personality Disorder. She also covers Postpartum Depression. She writes daily at Everyday Stranger where she also chronicles life with her twins, Nick and Nora. Lil is also a contributing editor for Postpartum Depression. She is beginning to write about her experience with prenatal and postpartum depression at There is a Crack in Everything. She also blogs about daily life at From Maiden to Mother. Calliope is the contributing editor for Alzheimer's Disease. She writes daily at Creating Motherhood, where is walks the line between taking care of the older generation while creating the next generation. She lives with and cares for her grandmother who has Alzheimer's. Neenie is the contributing editor for Bedrest and Preterm Labour. She writes daily at Swim where she covers life with her son who started to come out at 25 weeks, but luckily swam around inside a while she spent 2 1/2 months on hospital bedrest. Liza is one of the contributing editors for Parenting. She also writes daily at Liza Was Here and is the founder and a contributor at Lesbian Family. Lesbian Dad is one of the contributing editors for Parenting. She also write in many other places including her personal blog, Lesbian Dad, and Lesbian Family. Little Miss Hopeful is one of the contributing editors for Family Building. She also writes at Life Without Caden, which is about life after the death of her son, Caden. Jen is the contributing editor for Child of a GLBT Parent. She writes about her family at Kids of Queers. Bridges is always open to adding new categories and new editors--suggest one! Topics should be subjects that are misunderstood by outsiders and poorly portrayed in the media. In other words, if you've always gotten the sense that it wouldn't make great cocktail party conversation, it definitely belongs here on Bridges. I'm happy to help out in the allergies arena. My son has an esophageal disorder called eosinophilic esophagitis (EE for short). He's allergies to milk and soy for sure, but MAY be allergic to wheat, egg, fish, shellfish, peanut, tree nut, beef, and pork; we're currently keeping all 10 items out of his diet. I don't know what type of commitment you're looking for, but I'm happy to help out with some posts here and there. I've been very public about my battles with mental illness and body images. Am happy to contribute here, if you're looking. Happy also to help out with allergies. I've got two boys with food, environmental and drug allergies, and you can read about that on my blog. I would consider the addiction category (12 years sober, alcoholic and addict). What would you need? I would be happy to represent prenatal depression under the mental illness category. There was so little I could find about the topic when I was pregnant, that I wish to get this information out. It would have been so helpful to me if I had known then what I know now. And I'm still learning. NICU as well as postpartum depression categories maybe? Parenting Preemies, developemental delays? I don't know if you need a contributor who is having fertility treatment (egg donation) overseas, but if you do let me know and I would be happy to help! I'd like to write about raising a child with a mental illness. My son is bipolar and it's a very difficult road with many ups and downs. would love to contribute to a mish mosh of causes- Infertility, pre-term labor/incompetent cervix, bedrest, pre-term delivery, clueless parenting in general, body image issues, dieting, and post partum pelvic problems! Some stuff may sound dumb or minor but they are all huge issues to me, and I knwo someone out there may benefit as well! I'm somewhat new to this blogging thing, but I have far too much experience with early pregnancy loss. 4 chemicals, one at 7 weeks, full round of RPL testing (which I've discussed pretty extensively), and now finally a diagnosis of PCOS and treatment which should in theory help with miscarriages. Not sure if I'm what you're looking for, but I'm up for the job. I'd be willing to help out if there was some type of NICU/preemie (and anything else that comes up in our future)section. i can also contribute about helping to raise a blended family. Bedrest/Pre-termlabor/Ic needed as a topic? If so, I'd love to contribute! Let me know! infertility, miscarriage, death of a child, divorce, single parenthood, caring for disabled mom, raised by a gay dad. Take your pick. Thank you for posting all of this. My son was born with esophageal atresia and other complications.